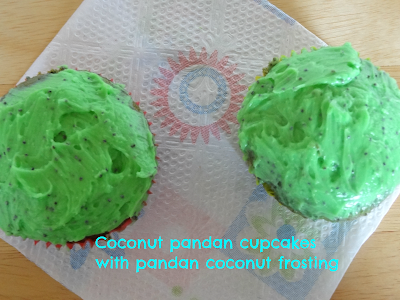 This cupcakes is full of pandan and coconut flavor, pandan paste can be use for a green coloring for foods and flavor at the same time. and ready to add frosting on top. Your cupcakes are so rich in tropical flavors. Totally agree with you that pandan is a great natural green colouring and I love the beautiful fragrance of pandan too. I really do need to start experimenting with pandan. Your cupcakes look so vibrant and tasty. Hard to turn down this double dose of coconut-yum! Hi Ridwan, these cupcakes look delish. I have never seen pandan paste. Going to have to look for that. Love the coconut too. I see double impact of pandan flavoring, into the cake and the frosting. Very nice and please sent one over to me for tasting. 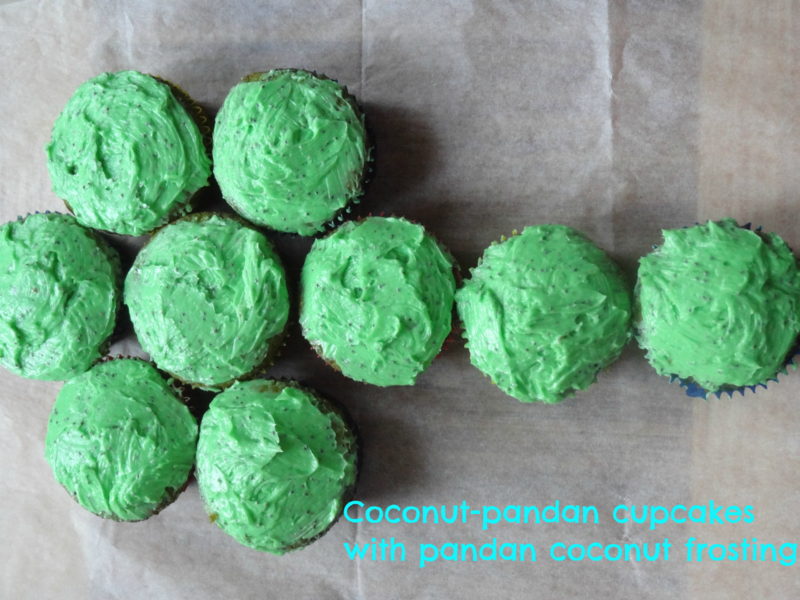 My daughter and I love coconut cupcakes...and I'm certain we'd love yours! I have never used this paste....if my cupcakes looked like that they would not last long in this house!! I love pandan flavor ;-) Thanks for sharing Ridwan.